Serendib Flour Mills holds 27 per cent of the wheat flour market share in Sri Lanka where the consumption pattern has grown to 60,000-65,000 of metric tonnes a month. 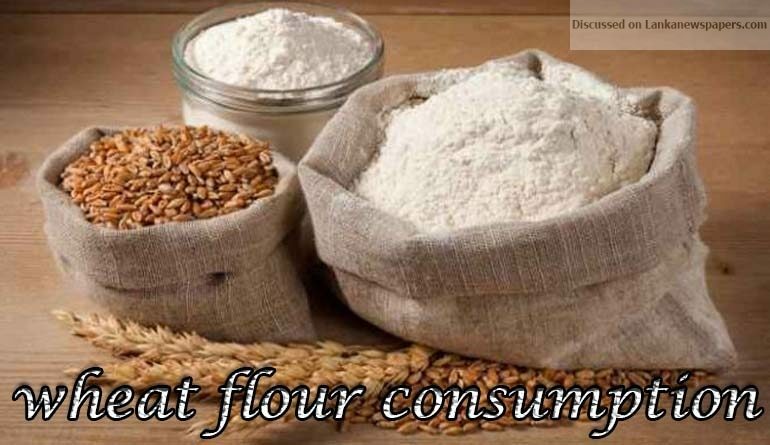 “People now eat more flour-based products due to changing lifestyles. The other factor was that owing to an influx of tourists in the country they eat more flour-based products than rice,” said Mohamed Riyal, newly appointed CEO of Serendib Flour Mills (Pvt) Ltd at a media briefing held at the Cinnamon Lakeside hotel Colombo yesterday. Serendib Flour Mills (Pvt) Ltd is celebrating its 10th anniversary in Sri Lanka this year. “We have the best Swiss technology in flour milling where 1000 metric tonnes of flour is milled every day maintaining the best quality. This does not happen in any other country in the world. The size of this flour mill is available only in Sri Lanka where Sri Lankan flour is preferred in the regional countries,” he said. He said the Serendib Mills investor hasn’t taken any money out of the country by way of dividend or any other form up to now. “We always maintain six months of wheat stock to manufacture flour and we have the best Swiss technology in flour milling where 1000 metric tonnes of flour is milled every day maintaining the best quality. This does not happen in any other country in the world. This size of this flour mill is only available in Sri Lanka and the Sri Lankan flour is much preferred in the regional countries,” the new CEO said. Mr. Riyal has worked in various positions in a variety of business segments in countries such as the UAE, Saudi Arabia, Africa and Germany. His notable contributions include establishing the brand name of Audi and Volkswagon in the Middle East region and trebling the market share within a period two years. Mark Healing, Chief Technical Officer at Serendib Mills, said top quality wheat from Canada, the US, Australia and Russia are brought here for the manufacture of different types of flour for various bakery products. Other company officials who participated at the media briefing were Zeeshan Khawar, Chief Financial Officer and Kalinga Wijesekera, Head of Marketing and Communications.